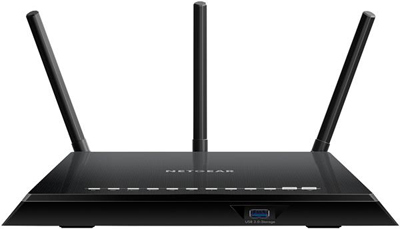 Improve your WiFi s peed and reliability with this AC1750 Smart WiFi Router, delivering speeds up to 1750Mbps. With poweful antennas and Beamforming+, this router offers the range and performance you need for large homes. Connect devices like Smart TVs and game consoles to the ultra-fast Gigabit Ethernet ports or connect a USB hard drive to one of two USB ports to create networked storage.